Nunez Dental Services (Jackson Heights) - Book Appointment Online! 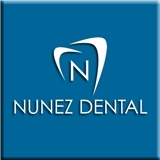 Here at Nunez Dental we take pride in providing you with a friendly atmosphere where you will be treated gently. With 30 years of experience, we have become proficient at giving our patients the best of care. We also have a professional team that has the patience and the honesty to ensure that you keep on smiling for life. These are the qualities that describe Nunez Dental and set our dental practice apart from others, making us the Leading Dental Office in the Jackson Heights area of Queens NY, for you, your family, and friends. Our website provides you a wealth of information about our dentists, services, patient education, office hours, insurance policies, financial solutions, convenient scheduling, directions to our office and other useful information. Warm Regards, Maritza Nunez D.D.S. I found Nunez Dental after searching for local dentists with high ratings, and I am very happy with the service I received. They were very patient with my schedule and delays. Plus, their office has very nice technology, but most of all appreciate the service from staff. I will definitely continue my care with this office. The front office ladies and the dental hygienist were super friendly however it took 90 minutes for me to be seen. I guess there were a lot of patients and dental procedure probably took more time for other patients. Overall, it was alight. The team was very kind and friendly. They will tell you the cost for treatment right there and then if you need to have one. I like that the most. I have been to several doctors and have never had such a great experience as I had today at the dentist. Don't get me wrong the dentist will forever be a scary place but thanks to the staff and doctor I had a great experience. Everyone was so friendly and honest. Definitely a place to recommend to others. The wait time was the worst part of it all, but only because I ended up changing the initial procedure I originally scheduled for. I probably wouldn't have minded the long wait if it wasn't so cold either; the A/C was kicking. Saturday is a busy day, so be careful. Once I went in, all was better. Loved the view! Everyone was very helpful in explaining the treatments. It was definitely for my benefit. Most of my family comes here and they're quite happy with the work done. If they trust them, I trust them. Thanks!